One of the best things about living in San Diego is that autumn does not mean you have to bring in all of your plants or cover your beds for the winter! The mild Mediterranean climate of this area lends itself to great landscaping all year long. Here are a few ideas for sprucing up your fall plantings from Juniper Landscape Company, the experts in San Diego landscaping. Add some agave. 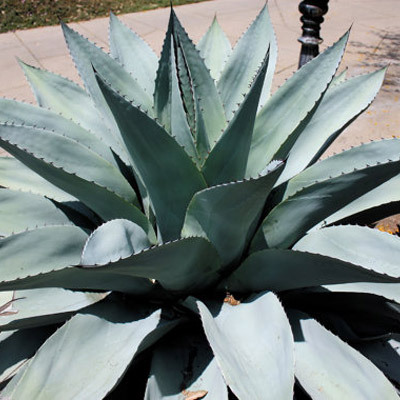 If you do not already have Whale’s Tongue Agave, Agave ovatifolia, in your yard then it is time to add some. This incredible plant tolerates drought well, and it is hardy to 5°F. It does not produce pups, so the original plant grows to quite a large size without reseeding into your other plantings. Its beautiful grey color and rose-like shape make it a perfect anchor piece for the head of a walkway or driveway. Start a new tree planting. Trees require more commitment in terms of space, time and patience than annuals or even low-growing perennials. However, starting a new tree planting in a well-thought-out spot can give you years of enjoyment as a reward for your extra work. Why not try the beautiful evergreen Shoestring Acacia? The Acacia stenophylla is a hard tree that is great for semi-arid climates. Once it is established, it does not require frequent watering and it maintains its green foliage all year, making it a great plant for fall and winter gardening. Be careful, though; this tree will reach a mature height of up to 40 feet, so the right positioning is essential. Juniper Landscape Company can help you choose the perfect spot for your new tree to gain maximum benefit from your planting. Choose deer-resistant plants. They may be cute, but deer can quickly ruin your landscaping, especially in the fall when foraging becomes leaner in the wild. Try edging your walkways with Cape Rush, a low-maintenance and deer-resistant ornamental grass. Tolerating both wet and dry soils, Chondropetalum ectorum is a great all-around plant that brings color to your yard and resists the depredations of our four-footed friends. For more great San Diego landscaping ideas, call the experts at Juniper Landscape Company. JCMS professional landscapers have years of combined experience to help you choose just the right plants to give your yard a burst of fall color or fill in areas that need attention. Previous Previous post: Can You Create an Urban Organic Garden? Yes You Can!